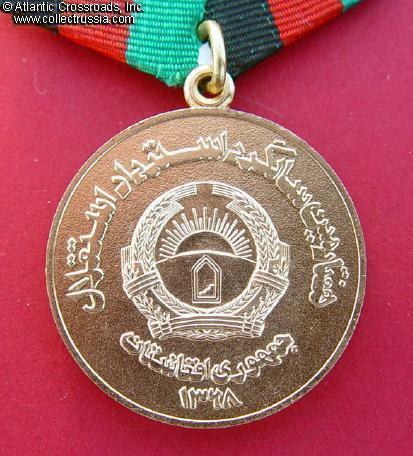 Medal for 70th Anniversary of Restoring Independence of Afghanistan, 1989	Gilded brass, 34 mm wide. Gilded brass, 34 mm wide. Excellent condition with light wear. Comes with original ribbon on standard Soviet suspension. Please note: the medal in our photo is an example. 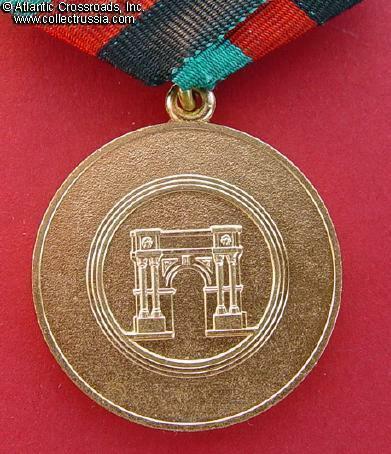 If you order, you will receive a medal in matching condition.